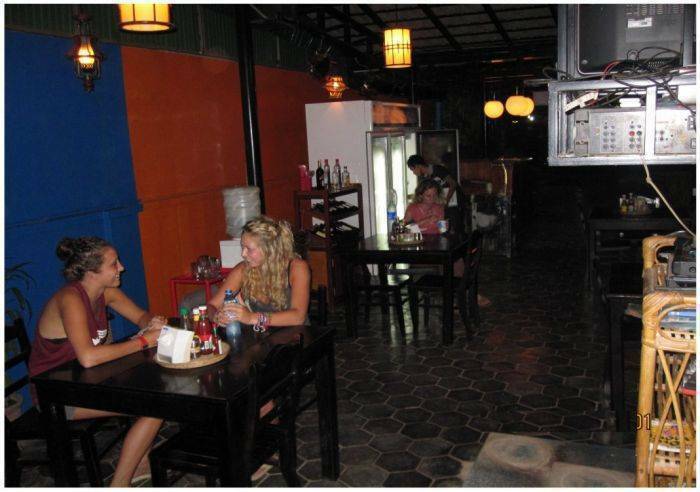 All international guests welcome, we have a bar and undercover restaurant downstairs with good cheap food Cambodia, Asian and Western dishes. We are located in popular Wat Damnak Pagoda area only 5 minutes walk from the center of Siem Reap and Old market & Pub Street. Rooms are large with high ceiling, open windows, 70 channel cable TV, Air conditioning or ceiling Fan and en suite has mains pressure hot water system. Free high speed Wi-Fi in all rooms & in public areas, plus free computers in reception. We supply a complete range of all tours, tickets, plus local transport at very competitive prices. 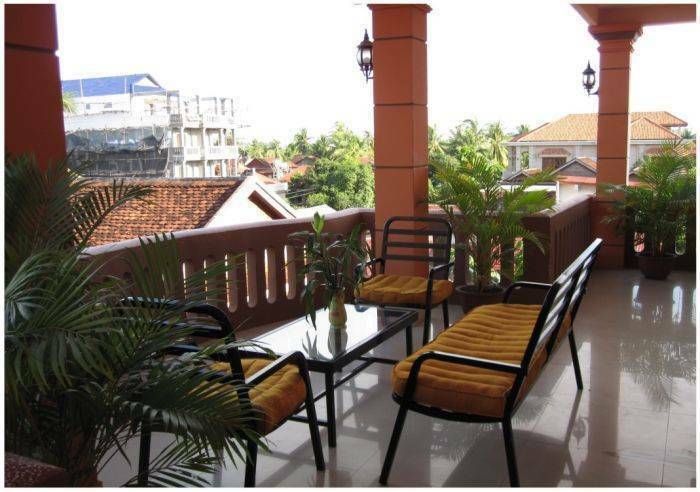 Chill out balcony overlooking the Siem Reap city, perfect for lounging and unwinding. 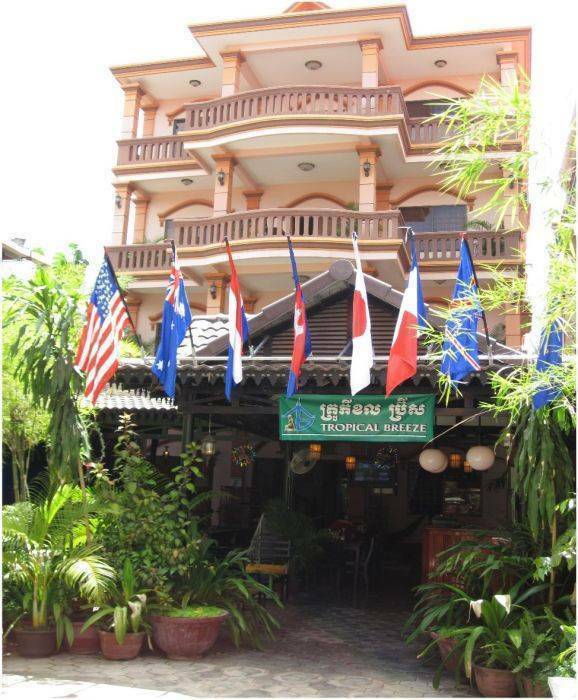 All and all we hope you’ll enjoy your stay at Tropical Breeze Guesthouse offers you unbeatable value then other guesthouses in Siem Reap. so we can organize your free pick up 24 hours in a day. 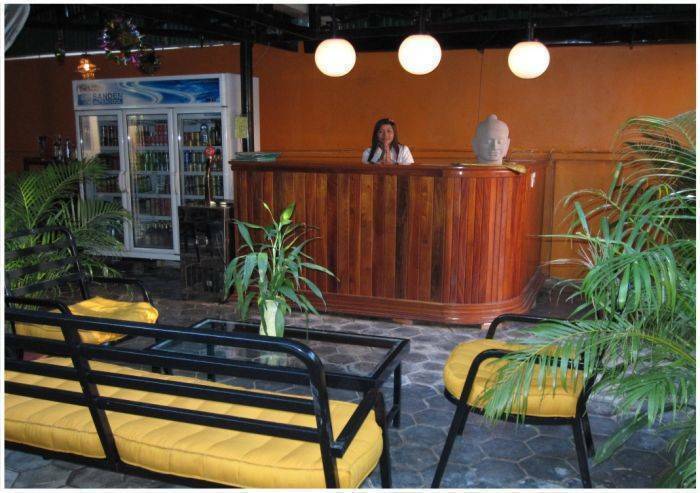 All rooms with windows fan and air conditioning , Cable TV private bathroom hot and cold shower. 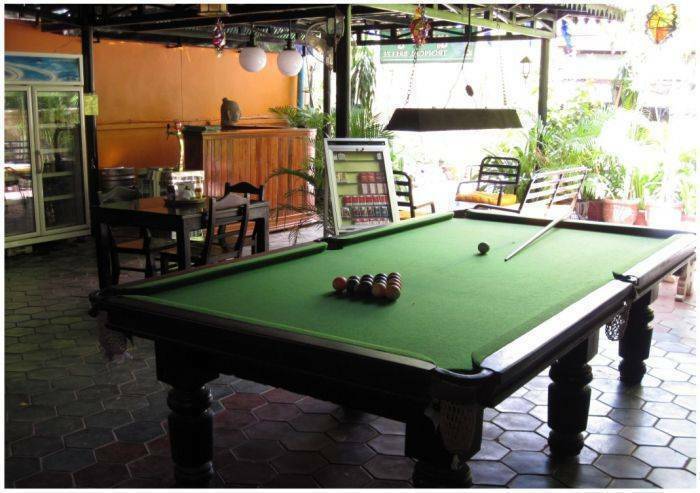 Free internet and Wi Fi all in rooms , Free pick up anytime , free airport transfer, free pool table, free bicycles. *If canceled or modified up 2 days before date of arrive , no fee will be charged. *If canceled or modified later or in case of no show , the first night will be charged. Tropical Breeze located in Wat Damnak Viilage, just past Wat Damnak Pagoda, Golden Banana Resort and Down Town Hotel , over river from Old market & Pub Street and then turn right about 5 minutes by walk. 20 minutes arrive from airport by Tuk Tuk and 10 minute arrive from the bus station.